The DTH space is hotting up – Past couple of years have seen many new entrants in this, now-competitive, Direct-to-home market . DTH technology has moved from simple digital signals to Mpeg 4 to High definition now. Consumers can even record live TV. Most DTH providers also offer Games, educational stuff and other value added service to attract customers in their fold. 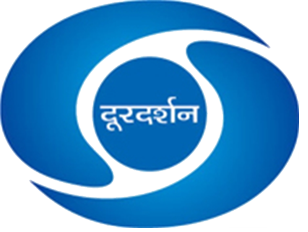 However, state owned Doordarshan had not been part of this movement till late last year when they launched DD Direct plus. Even though the setup cost of DD Direct plus is cheaper, their TV programming has left lot to be desired and hence has not seen mass adoption since its launch. However, all that seems to be changing and Doordarshan is set to market DD Direct plus aggressively in the market. Government has, for the first time in many years, pumped in over 81 crores (proposal for which is approved) into DD Direct plus. The funding will see upgraded technology and a comprehensive pan-India distribution strategy. To compete with 6 private DTH players and double their subscribers, DD Direct plus has decided to offer set-top boxes and antennas completely free of cost. Apart from free distribution strategy, DD Direct plus will also increase its channel offerings to 97 by December and in the next 12 months, to 200. Infact, DD Direct plus is confident of offering many pay channels as well completely free of cost, as these pay channels will be tempted to come under its fold, thanks to its wide reach, which in turn may give them good advertising revenue. DD Direct plus will also see technology upgrade – A move to the latest video compression technology—MPEG 4, DVB S-2—used by most private DTH operators currently. This surely is a great development for State owned DD as well as consumers – However, one needs to see whether all these proposed plans actually get implemented or not ! Weekly Wrap-up: Indian Rupee Symbol, Android App inventor, Social Media Policy, Stock Market, Epic Browser, Outsourcing & More..
Is there any facility to add pay channel with free DTH ? I like to see power-vision channel on dd direct plus. sir plese add rajasthni channals on dd drict puls. when will launch new more channels. can you add animal planetory, z cinema, discovery, or other the educational channel. My opinion is most of the TV players are no Indian they only looting our poor people and making money. So DD should make an arrangement to overcome this situation and save this hard earned money of our poor people. WHAT I DO FOR JAIPUR DOOR DARSHAN. WE ARE NOT ENJOYING DD JAIPUR, AND WE ARE FROM RAJASTHAN. WHAT WE DO FOR JAIPUR DOOR DARSHAN ON DTH SERVICE. hi sir i am chetan pawar from nagpur (MH) i am use dd dirct plus 6 year but last 1 year your signal is very low and max. channal you band so alz. start new channal, some hindi channal and news channal and your signal to give high up to 45 quility. you stop india news, e-24,ndtv india and one mistake to you one channal name is shayadri this channal sound is other channal and picture is other channal so plz. cleare and start channal thank you vary much. and plz. give me replay plz……………………. Forget the programing part and all. Has anyone tried watching a single feature film on this channel? They will repeat the same list of advertisers twice, one in past and then in present tense! eeks! God knows if all these will happen. DD Direct Plus launched a few years back and still in the childhood stage. And do you think private players will ever allow this to become materialised? Come on! This is India! But let’s wait and see. Who knows if some miracle does not happen!